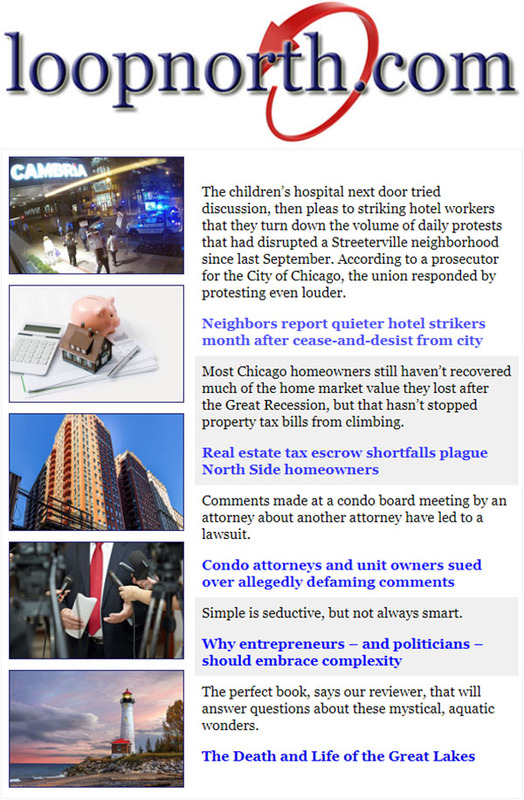 No ads and no charge, just a summary of stories covered during the previous week. Every day at 3:30 p.m., receive by email at no charge the most recent headlines from Loop North News, a summary of upcoming public events happening soon in downtown Chicago, weather forecast for the evening and next day, the days biggest stock price gainers and losers of companies headquartered in downtown Chicago, and a featured, new listing on the MLS. A free daily summary of recent police incidents in the 42nd Ward. 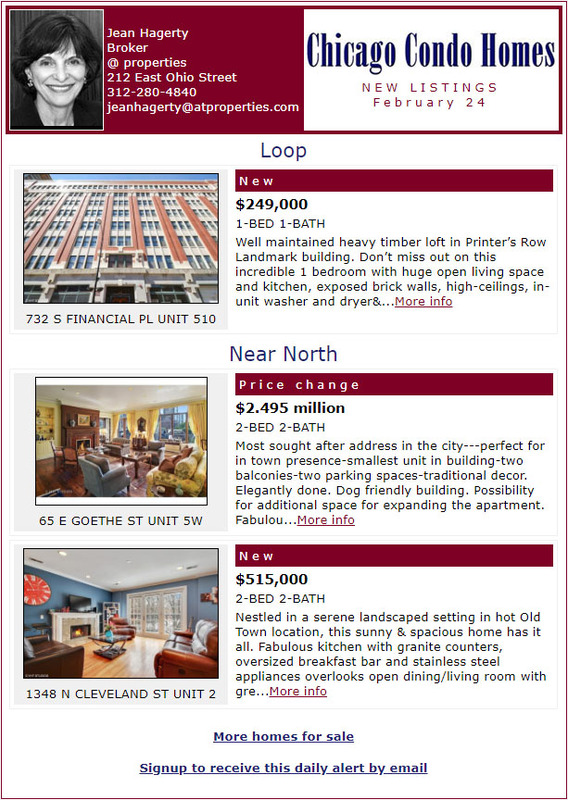 Subscribe to a FREE daily summary of new condo units for sale or rent in the Loop, Near North, or Near West neighborhoods of downtown Chicago.  Police incidents in your neighborhood  An alert will be sent to you at no charge whenever new incidents are reported to Chicago Police Department on or near the city block that you specify.